The pound may be falling against the dollar but the US is still one of the most popular holiday destinations for Brits. That is according to a new study from ebookers.com, an online travel agent, which reveals the top holiday hotspots that will draw in the tourists during 2009. 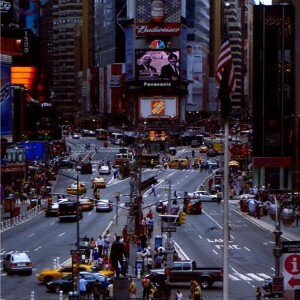 Looking ahead to flight bookings for next year, the website identified New York as the most popular destination. Other American cities making the list included Orlando, Florida in third; Las Vegas, Nevada in fifth; and Miami, Florida in tenth place. Rounding out the rest of the top five were Bangkok, Thailand in second and Johannesburg, South Africa in fourth. Johannesburg and Cape Town in South Africa, Perth and Sydney in Australia and the emirate of Dubai also made the list. Recently, it emerged that one in three parents would let their children miss a significant amount of school-time in order to book a cheaper holiday.